To that end, movies like Get Out and Call Me By Your Name I liked but didn’t love. (In the latter case, I thought Armie Hammer was miscast.) Same with Wonder Woman, which I liked but didn’t think was even the best superhero movie of the year. And on the flip side, movies I did really like, you won’t necessarily see on other top 10 lists. And some would never make my list in another, better year. It should be noted that, beyond this list, in that grey area of “good” movies, there were some real moviegoing pleasures. For example, King Arthur wasn’t a great movie, but I really dug the musical score. Logan Lucky was fun, and it was a trip to see Daniel Craig cut loose and show some comedic chops for a change. 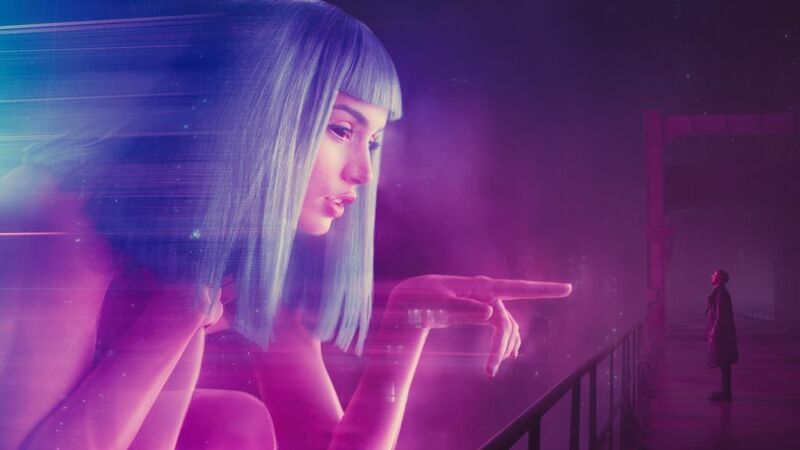 The production design and cinematography of Blade Runner 2049 were very cool. The “This Is Me” scene in The Greatest Showman was a definite emotional high point in a hit-and-miss film. I enjoyed The Disaster Artist, in part because I was able to see The Room for the first time, with a really rowdy audience, just a couple weeks earlier. And speaking of memorable experiences, kudos to the Regal Fenway theater for showing the Pearl Jam concert documentary Let’s Play Two with the volume turned way up, so it felt like we were actually (kind of) at the show. But which movies really stood out for me this year? Before we get to my top 10, let’s look at a few honorable mentions, listed in alphabetical order. Christopher Plummer’s brilliant last-minute performance as J. Paul Getty is just one notable aspect of Ridley Scott’s true-life thriller. Not as sophisticated as, say, Inside Out, but a wonderful story about family and faith, told with imaginative, richly rendered animation that’s a real feast for the eyes. Gary Oldman as Winston Churchill in this sort-of prequel to Dunkirk was one of the best performances of the year. Let he who is without sin shoot the first gun in Scott Cooper’s beautifully shot Western. 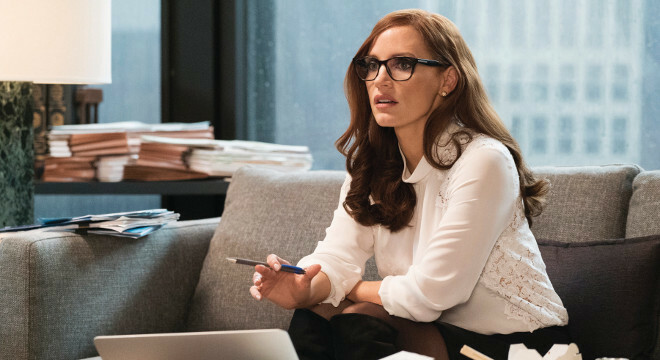 Aaron Sorkin makes his confident directorial debut with this crackling, fast-moving and fast-talking film about high stakes gambling. Steven Spielberg’s ode to newspaper competition in the early 1970s couldn’t be more timely, as it covers the power of the press, government corruption, and female empowerment. A Cold War–era fairy tale for adults about a strange creature and the mute woman who loves it. The brilliant trilogy comes to an end in satisfying fashion. And now, my top 10 favorite films of the year. My very favorite movie of the year was this epic war film by one of my favorite filmmakers. 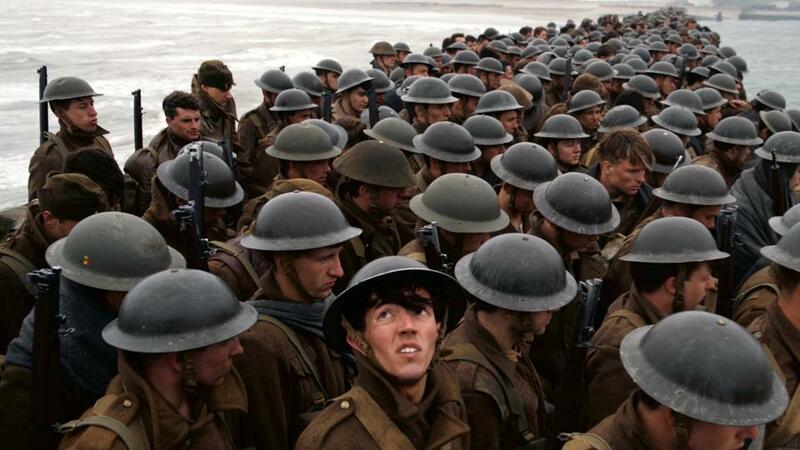 With Dunkirk, Christopher Nolan, the director of the The Dark Knight Trilogy, The Prestige, and Inception, provides a definitive account of one of World War II’s most heroic and miraculous — not to mention, pivotal — events, and does so with a size, scale, and intensity that never sacrifices human emotion. Nolan’s film isn’t just a movie; it’s an immersive cinematic experience that puts you right in the thick of the action on three fronts: Land, sea, and air. With its you-are-there perspectives, shifting timelines, and pulse-pounding Hans Zimmer score (plus an ever-present ticking stopwatch that Does. Not. Stop! ), Dunkirk puts audiences through the ringer. See this movie on a big screen (IMAX or 70mm), if possible. It’s just awesome. Like There Will Be Blood, their last film together, Paul Thomas Anderson and Daniel Day-Lewis’ latest collabo is all about a power struggle — one of Anderson’s favorite themes (see also: The Master). Here, Day-Lewis plays Reynolds Woodcock, a fussy fashion designer in a bit of a creative funk, who finds the inspiration he desires (creatively and otherwise) from a waitress played by Vicky Krieps. The film looks good, but that’s not all — it sounds good too; Jonny Greenwood’s score is so lush and wonderful that Woodcock could play it during breakfast and it wouldn’t disturb him one bit. If this is really Day-Lewis’ last movie before he retires (say it ain’t so! ), he’s going out on a very high note. Matt Spicer’s pitch-black and very funny comedy about the dangers of getting too attached to minor online celebrities nails it when it comes to the social media zeitgeist and why all is not as it seems on Instagram and elsewhere. Aubrey Plaza stars as the unhinged title character, who moves to Los Angeles and ingratiates herself with Taylor (Elizabeth Olsen, from Martha Marcy Mae Marlene), an “influencer” fond of avocado toast and documenting her boho lifestyle. With its sharp, clever script that skewers in equal measure those who put forth a carefully curated identity of “authenticity” and the fans who eat up every bit of it, and amusing performances (including Billy Magnussen and O’Shea Jackson Jr.), Ingrid earned its double-tap. I’m cheating here by making this one a tie, but that’s because I really couldn’t choose between these two superhero movies — even though they really couldn’t be much more different. Logan is a dramatic story about what happens at the end of the road, after the fighting is over: Wolverine’s (Hugh Jackman) powers aren’t what they once were, and he’s walked away from the heroic life. On the other hand, Spider-Man is more of a comedy that takes place at the exact opposite time, when Peter Parker (Tom Holland, a hoot) is still getting used to his powers — and dealing with high school pressures as well. Both films were well acted and told excellent stories, raising the game for the genre in the process. Sean Baker’s The Florida Project is an absolutely delightful movie about a group of kids who make up for in dreams and imagination what they lack in financial resources — especially precocious Moonee (Brooklynn Prince), a six-year-old who makes every day an opportunity for adventure. Raw and profane, the film doesn’t shy away from showing the desperation of living at or just below the poverty line. And that ending will stay with you. A sweet, heartfelt film and a truly relevant modern romance, The Big Sick tells the real-life story of Kumail Nanjiani and Emily V. Gordon’s courtship (they co-wrote the screenplay). Michael Showalter’s sensitive direction is an impressive balancing act, resulting in a film that doesn’t lag and never loses its momentum — especially when it pivots from hilarity to something much more serious. And while all the acting across the board is great, special mention must be made of Holly Hunter. Kumail may be the movie’s center, but she is its tough, beating heart. This film barely made a peep when it was released late in the summer, but I was charmed by its story of a young New Yorker (Callum Turner) who has an affair with his father’s mistress (Kate Beckinsale), all while receiving counsel from the mysterious novelist who lives upstairs (Jeff Bridges). Yes, there are definite echoes of other films by Noah Baumbach and Woody Allen, but Allan Loeb’s screenplay and Marc Webb’s direction allow this film to establish its own identity. Greta Gerwig’s bittersweet, richly observed, semi-autobiographical directorial debut, which she also wrote, is filled with moments that are joyous, awkward, and frustrating, but always true. Saoirse Ronan (Brooklyn) plays a determined high schooler desperate to fly the coop, and Laurie Metcalf is the anxious mother who pushes her away because she just can’t bear to let her go. I don’t always enjoy Gerwig’s work (loved her in Greenberg, hated her in Mistress America), but with Lady Bird, she made me a fan again. I hope to never see any of these 10 films again. They’re listed alphabetically. It’s as if the writers and director learned nothing from watching the 21 Jump Street movies. Maybe there wasn’t any real connection, but soon after this lame film was released, director Colin Trevorrow lost his job on the next Star Wars film. Not even a cast including Tom Hanks, Emma Watson, and Patton Oswalt could save this paranoid, over-the-top social media satire. Oh, Reese. You can do so much better. After the heights of Richard Linklater’s last two films, Boyhood and Everybody Wants Some! !, this one was a huge disappointment. Sorry, but I didn’t like either of these polarizing movies. I’ll say this much: At least it was better than Monuments Men! I should have RSVP’d no to this movie about a bunch of random guests at a wedding. To follow the alliteration of the title, this may have been Woody’s Worst. If you’re wondering, here’s every movie I saw this year. And there you go. Cut, print, moving on. Bring on the 2018 releases! What was your favorite movie of 2017? Share your answer in the comments section below!